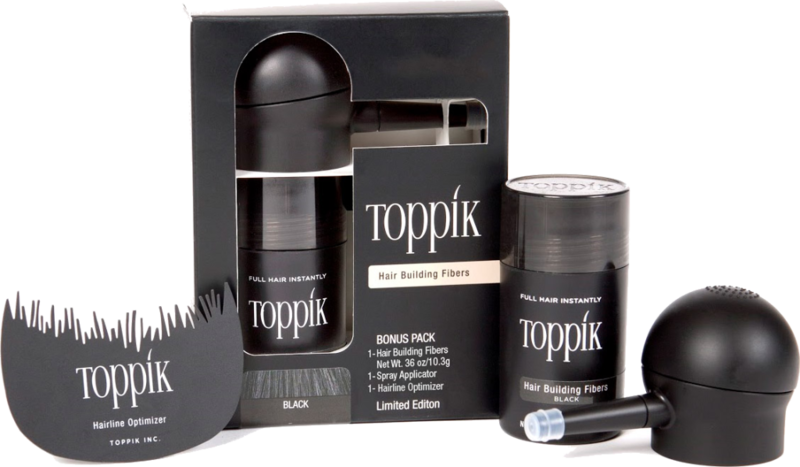 Toppik FiberHold Spray is a fine mist specifically developed to increase the bond between Toppik Fibers and thinning hairs. Unlike ordinary hair sprays, this formula uses sophisticated alpha grade resins to join thinning hair and Toppik Fibers naturally and durably. Pro Vitamin B5 and naturally derived ingredients soften and condition both hair and Fibers optimally for a complete natural appearance. pH balanced to 5.5 for optimum results with Toppik Hair Building Fibers. You may even brush after drying for a softer style with ample fiber-holding power.